The solo seat offers the best of both worlds. It has superior comfort and sleek custom style because we know being comfortable is the key to a great day of high-mileage riding. 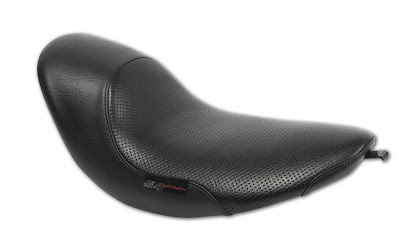 When it comes to comfort, we know the importance of cushioning, so we designed this seat for those weekends you want to take your RSD Vintage Softail on a long haul and need a little extra padding. Fits seamlessly with your RSD Vintage Gas Tank and 200mm Rear Fender Kit. Available at all authorized Drag Specialties dealers.